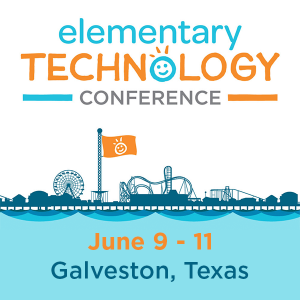 Earlier this week, I had the opportunity to travel to the TCEA Tots and Technology Conference taking place in Galveston, Texas for elementary educators. When I attend conferences like this one, it can be overwhelming to process all the information that’s being shared. That’s why I took a few moments to start up the Voxer app and interview folks on the way to TCEA Tots. Below, you’ll find short “voxercasts.” The Voxer app makes it easy to record content and then quickly share it. I bookmarked the tweets where I shared the Voxercasts and you can subscribe to the #TCEATots Voxercasts RSS feed via the Diigo social bookmarking tool. Green Screen Tips from Dr. Bruce Ellis – This conversation really blew my mind, so to speak, and sharing the tips Dr. Ellis included in his overview of green screes caught the attention of pre-conference attendees in my Become a Storymaker session. Virtual FieldTrips and More with Sherrie Berry and Shelley Kozma (Lampasas ISD) (shown right) – We discussed Seesaw, as well as other awesome ideas and tips in the iPad classroom. This really addresses collecting student work from iPads. Also discussed Microsoft in Education, as well as Skype in the Classroom. And Google Lit Trips were also referenced. Catch them on Twitter @shelleykozma and @sherrie_berrys. TCEA Tots participants were asked to share their insights: What is one take-away from TCEA Tots? 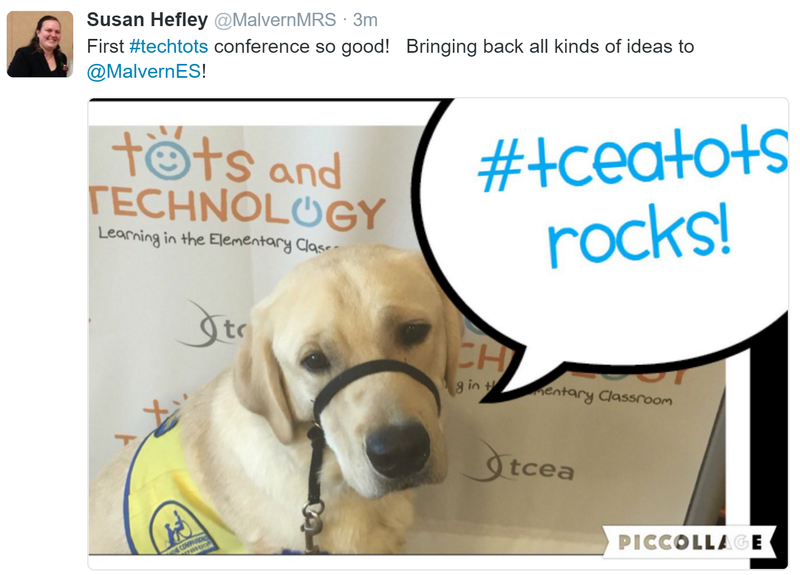 Other participants (TonyaHinkebein; MalvernMRS shown below with service dog, Nelson) also offered their thoughts on Promoting Technology Use in their classroom. Be sure to check back for even more interviews from TCEA Tots and Technology 2016 in Galveston, Texas. And if you want more learning for elementary educators, consider joining us for the Tots Frisco conference July 24-26. EasyBib EDU Is Here and It’s FREE!